A consortium headed up by former Supercars managing director Matt Braid is set to be confirmed as the promoter of the new TCR Australia Series due to be launched next year. The Confederation of Australian Motor Sport (CAMS) has selected new category management business Australian Racing Group (ARG) as the preferred party to control the promotional and commercial rights to TCR Australia, pending the completion of final contractual negotiations. As previously reported, CAMS is awaiting approval from the board before officially announcing its plans for the new touring car category, having signed a five-year agreement with the growing TCR production touring car platform in January. The announcement was expected to completed today before a delay in the rubber stamping of contracts. ARG will be managed by former managing director of Volvo Cars Australia, Braid, who resigned from his managing director role at Supercars last year. Speedcafe.com understands ARG is linked to Australian businessmen John McMellan and Brian Boyd, with the group also holding commercial and management rights to Super5000, with which the pair are intrinsically involved. The modern Formula 5000 series is continuing to work through technical regulations with 2019 earmarked as a possible target for its debut. TCR Australia is yet to confirm its 2019 calendar although the group are working with leading event promoters, including Supercars and the Shannons Nationals. It is thought a prominent place on the Shannons Nationals would be an ideal fit alongside appearances on the support bill at Supercars events. “I can confirm that the Australian Racing Group is in final negotiations with CAMS on the rights to a TCR Series in Australia,” said Braid. “While we are aligned on the key aspects of an agreement and continues to progress well, the process is not complete until it has been formally approved by both CAMS and ARG. “TCR has proven itself to be an extremely popular, exciting and successful category in many countries around the world. Even in these early stages, we have fielded a lot of interest from potential competitors, manufacturers and event promoters interested in being part of a TCR series in Australia. “We’re aiming to come to a final agreement with CAMS and TCR Series in the very near future. CAMS CEO Eugene Arocca believes TCR will prove to be a valuable addition to the Australian motorsport landscape. 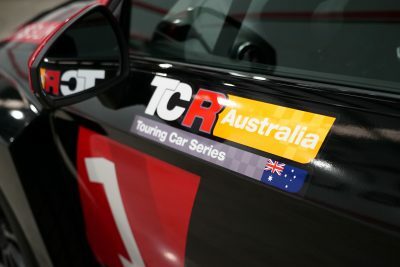 “We are excited for TCR to be coming to Australia – it’s a category which has proven to be very popular overseas and will be a great asset for Australian motor sport,” said Arocca. Interest in TCR Australia is growing with manufacturers Audi and Hyundai among those understood to be keen to become involved in the category. The category has proved to be a hit with marques globally with SEAT, Volkswagen, Ford, Alfa Romeo, Honda, Kia, Lada, Opel, Peugeot, Renault, Skoda, and Subaru, all having developed bespoke TCR cars that can be purchased for around $200,000. Audi Sport bosses met with CAMS to discuss plans for TCR at the Bathurst 12 Hour in February. 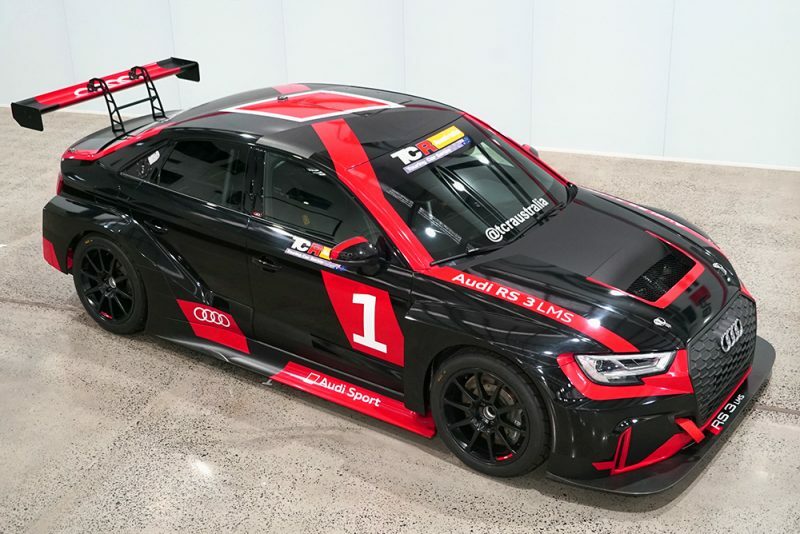 The manufacturer sent an example of its RS3 TCR car to Australia last year for promotional activities before remaining in the country in the hope a TCR series would come to fruition. Melbourne Performance Centre is involved in tentative discussions with Audi Australia regarding involvement, having secured the rights to import and run Volkswagen Audi Group TCR cars. MPC boss Troy Russell says he has received several inquiries about the category already and believes the series can cater for both aspiring drivers and gentlemen racers. “I have have a few inquiries from guys that have done racing in the past and a few younger guys and people who have been around in other categories,” Russell told Speedcafe.com. Speedcafe.com understands customers should be able to import TCR cars to Australia within 10 days via air freight.